Pre-order and dine in, pick up, and delivery. Pepperoni, ham, bacon, ground beef, capicollo, salami, anchovies. Mushrooms, black olives, green peppers, hot peppers, green olives, extra cheese*, chilli peppers, pineapple, onions, sliced tomato. Sundried tomato*, zucchini, eggplant, roasted red peppers, artichokes*, pesto, feta cheese*, bocconcini*, potato, goat cheese*, cheddar cheese*, broccoli, kalamata olives, rapini*, spinach. Ricci’s original Napolitan-styled Panzerotti is available baked or fried. Pasta filled with ground beef. *These pasta dishes are served with your choice of meat or tomato sauce made fresh daily. To make your meal even more special Ricci’s allows you to combine your favourite gourmet sauce. All pastas are topped with parmiggiano cheese. Medley of vegetables in a cream sauce. Medley of shrimp, scallops, calamari, & clams in a tomato sauce. Clams sautéed in white wine & served in a tomato sauce. Clams sautéed in white wine cream sauce. Cream sauce with nutmeg & parmiggiano cheese. Bacon, ham, & onions sautéed with white wine in a cream sauce. Bacon & onions sautéed with white wine in a tomato sauce. Sautéed bacon & onions with vodka in a tomato cream sauce. Sautéed sausage in a tomato sauce. Sautéed chicken in a tomato sauce. Spicy banana peppers in a tomato sauce. Two meatballs in a tomato sauce. Grilled eggplant, zucchini, red peppers, green peppers & mushrooms. With lettuce, tomato & mayo or tomato sauce. Breaded chicken with lettuce, tomato, mayo or tomato sauce. Breaded chicken with with lettuce, tomato, mayo or tomato sauce. Choice of breaded or grilled chicken with romaine lettuce, tomato, & caesar dressing. Choice of breaded or grilled chicken with tomato sauce & mozzarella. All hot sandwiches available in sweet, medium, hot or extra hot at no additional charge. All cold sandwiches are served with lettuce, tomato, and oil vinegar. Grilled eggplant, zucchini, red peppers, green peppers, & mushrooms. With lettuce tomato & mayo. Mixed greens, roasted red peppers, purple onions, kalamata olives, grilled chicken, & asiago cheese with balsamic vinaigrette. Romaine lettuce, grilled chicken, tomato, cumber, feta cheese, onion, & kalamata olives. With grilled steak, sautéed onions, lettuce, tomato, & mayo. Romaine lettuce, grilled chicken, parmiggiano cheese, & caesar dressing. Iceberg lettuce, tomato, cucumbers, onions, & kalamata olives. Romaine lettuce, tomato, cucumber, feta cheese, onion, & kalamata olives. Tomato, cucumber, onion & fresh garlic. Mixed greens with purple onions & a balsamic vinaigrette. Romaine lettuce, croutons, parmiggiano cheese, & caesar dressing. Grilled chicken, romaine lettuce, croutons, parmiggiano cheese, & caesar dressing. Chicken, red peppers, purple onions, kalamata olives, & asiago cheese with balsamic vinaigrette. Add grilled chicken to any of our salads. Arugula, pear, cherry tomato, parmiggiano cheese & white balsamic vinegar. Spinach, goat cheese, cranberry, cherry tomato, pumpkin seeds & balsamic dressing. All salads come with their dressings mixed in. If you would like your dressing on the side please notify your order taker. All served with your choice of meat or tomato sauce. Big green Italian olives marinated in hot peppers, onions, & olive oil. Toasted bread with tomato, onion & garlic garnish. 4 pieces per order. All wings are served with your choice of BBQ sauce (mild, medium, hot, or extra hot) or Honey Garlic. Blue Cheese or Creamy Garlic Dipping Sauce. Only $1.00 each. We offer catering for any occasion! Delivering quality food for a quality price. We will treat you like family. 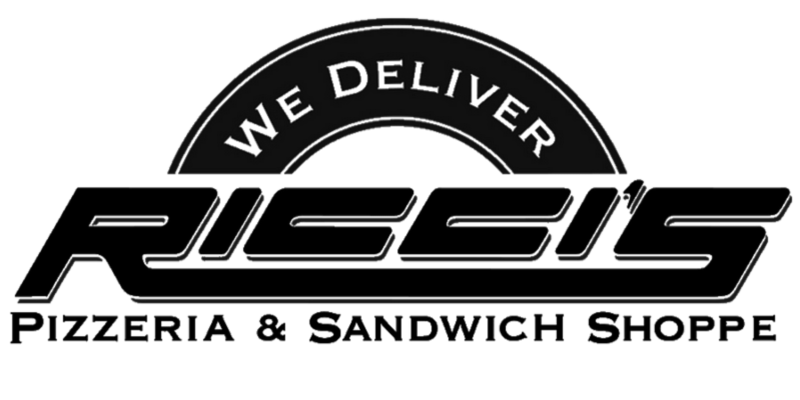 Ricci’s Pizzeria & Sandwich Shoppe is committed to serve good food. 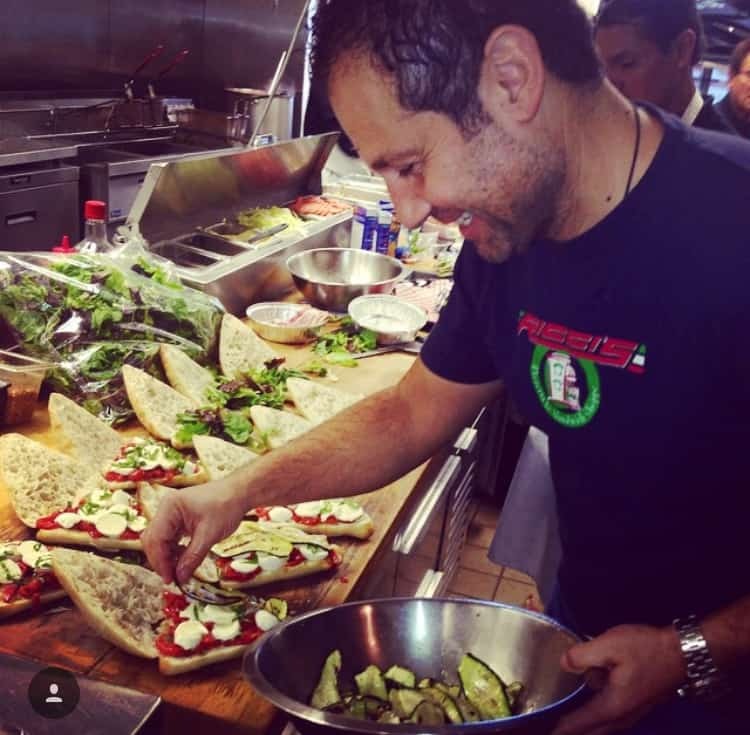 From the freshness of our ingredients to the quality and pride of our preparation, we care about what we do. Call us to place your order for dine-in, take out, or delivery. We value your business and as your favourite neighbourhood pizzeria. Our traditional Italian dishes are the best comfort food. 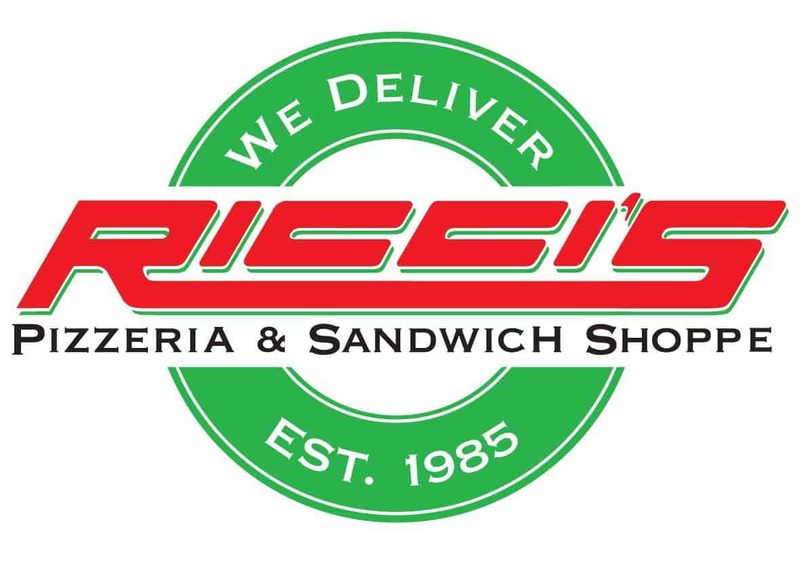 Ricci’s Pizzeria and Sandwich Shoppe ©2019 All Rights Reserved. Website designed by LA Marketing Services.